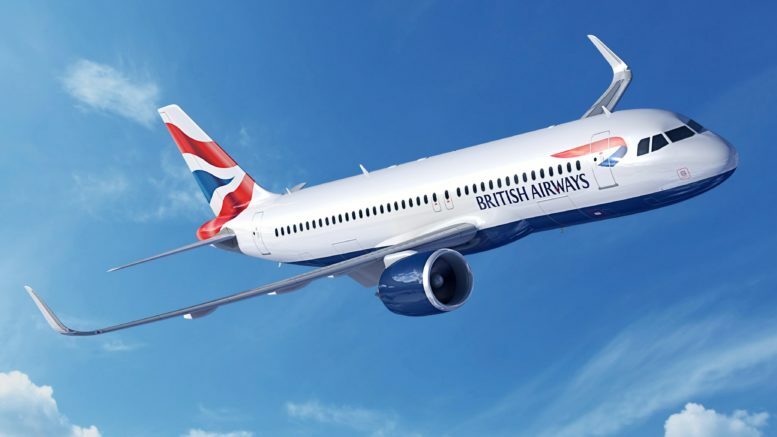 British Airways have been operating A320neo since last year but I hadn’t experienced one until now despite the number of short haul flights that I have taken. 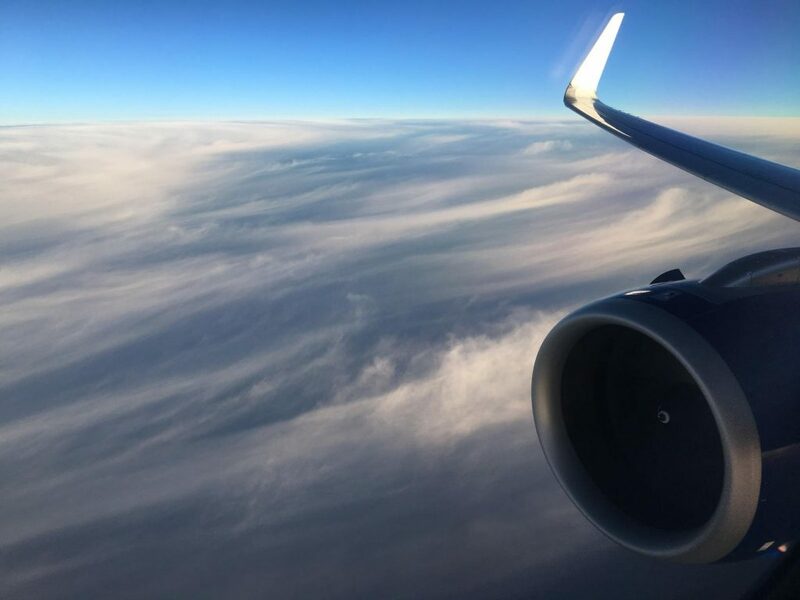 Club Europe has some differences on this service so I thought it would be worth a quick review to look at these and the onboard service which also changed a few months ago. I was flying from Hamburg to Heathrow and didn’t realise that the aircraft was a neo until I was sat on board. Hence you will notice a lack of photos from the airport! The lounge at Hamburg was pretty average. It was busy when I was there and is a shared third party lounge. If you want to work there are lots of individual desk areas which is handy with power at desk level. The food and drink was fairly limited at lunchtime with some sweet and savoury pastries, potato salad and some breakfast bits. There was of course beer, wine and a few spirits. Boarding was a bit of a mess with it not clear where each queue started. Once they called group 1 I had to fight my way through and then they announced group 2 without even pausing for breath. This led to a surge of people trying to board. Once on the jet bridge, there was a barrier across so we couldn’t even board anyway. We were then left standing on a very cold jetbridge for quite a while before they finally allowed us on! The crew were nice enough although not as good as the excellent crew I had on the way out. Although I had booked my seat about a month in advance I only managed to get row 3 as I’m guessing row 1 was already full of gold card holders. The flight was particularly busy, probably due to the large aircraft interiors show on in Hamburg. We were offered a hot towel and coats hung up. The seats in Club Europe are almost the same as the previous iteration with a couple of notable exceptions on the neo. 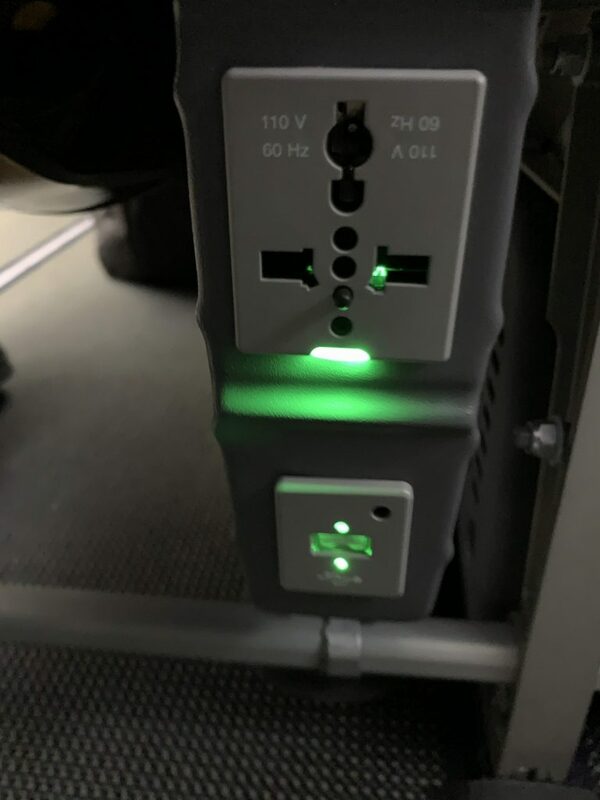 On the good side, every seat finally has power with both a multi-country socket and a USB point. These are well hidden under the seat though and I had to ask the crew to point it out. As before the seat back pockets are designed to be used with a tablet in a sleeve but it doesn’t quite fit my small 13″ laptop. The bad point which will not be so much of an issue in row 1 is the lack of the centre table. I have always found this extremely useful for putting a drink on or a laptop so that you can watch or work as you eat and drink. In my row, I was on the aisle, so it was fine for me as the person next to me had put up the centre table. However, if he wanted to get put during the meal service it would have been quite tricky although I guess he could have dumped stuff on the empty seat. Other than those two differences the seats were exactly the same as the current Club Europe seats. The other difference in the cabin was the lack of the drop-down TV screens which display the safety video and moving map. All safety demos are done manually which, if like me you are totally sick of the safety video, not necessarily a bad thing! 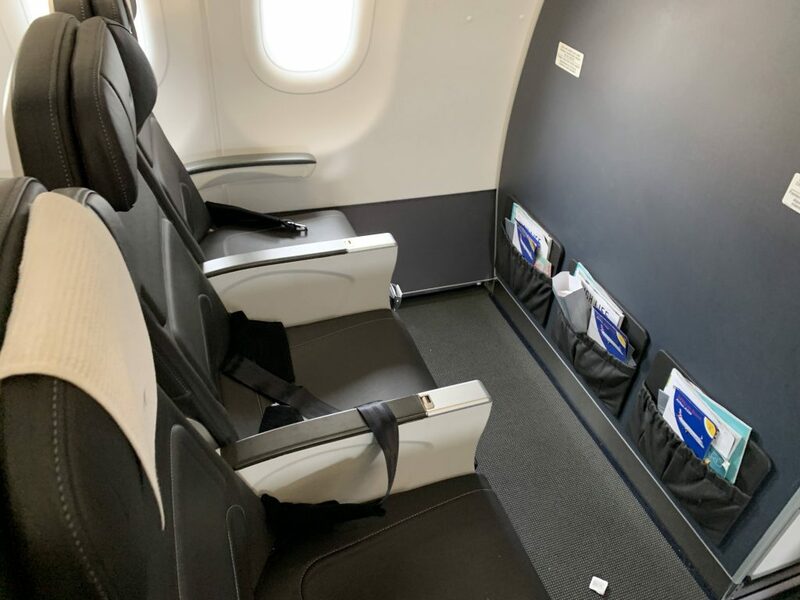 As per the current seats the legroom in row 2 onwards is the same as economy although on the neo economy seats are even tighter on seat pitch towards the back of the aircraft. 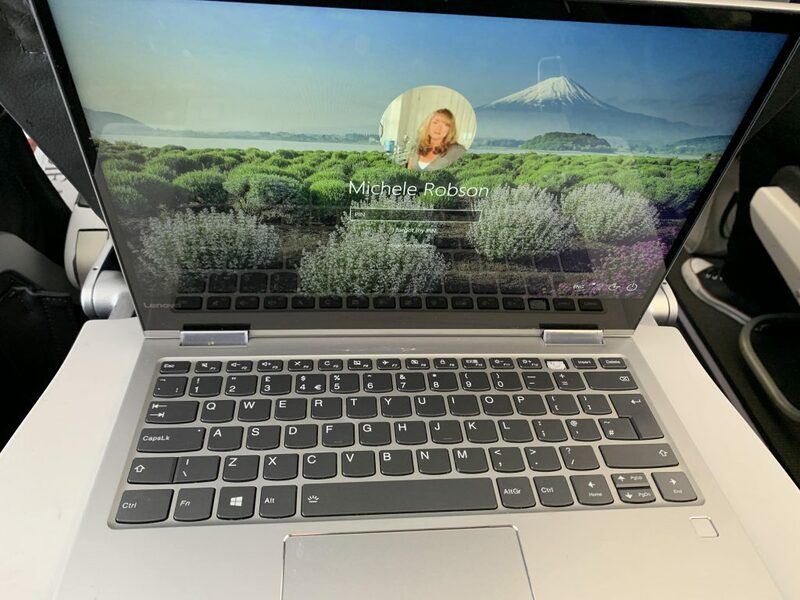 The person in the seat in front reclined their seat back immediately after take off until landing and I struggled to get my laptop fully open to work! Club Europe catering was improved a few months ago and you can read the full description of what meal you get when in this article. 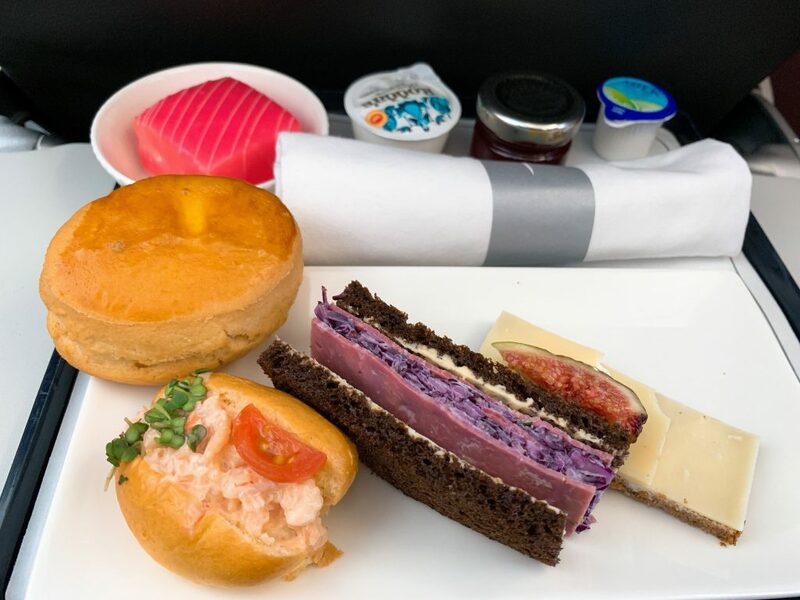 On this flight afternoon tea was served. I normally don’t mind it, but the menu has been the same for such a long time with minor variations I am now at the point of being sick of it! As well as the main element you also get a small cake or tart plus warm bread and scones. The scones are actually pretty good – not too dense and served with proper clotted cream and a good quality jam. My sandwiches were OK but nothing very exciting. I was given my food first and then offered a drink. 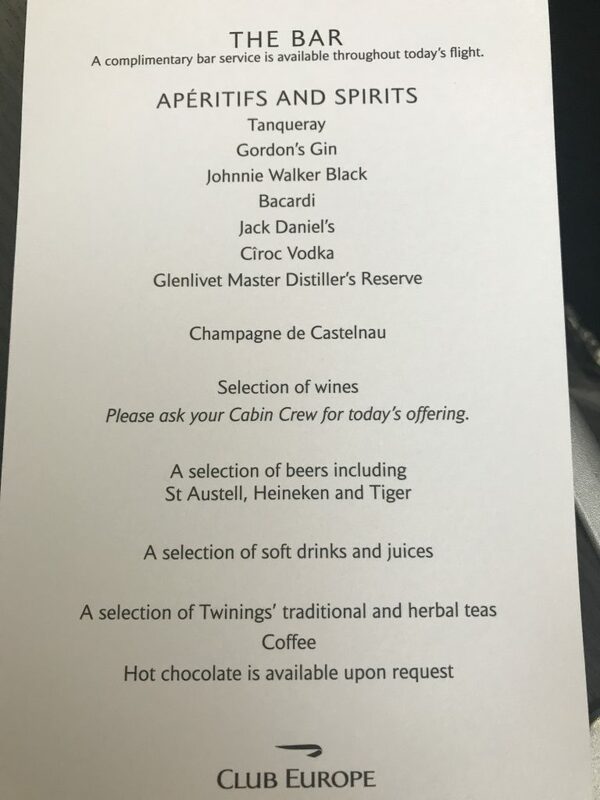 If you want alcohol, they have white or red wine, Castelnau champagne in small bottles, beer and a small selection of spirits. As I was driving, I opted for tea. I always go for one of the speciality teas such as Earl Grey since these are made to order rather than from a big stewed pot of it! Nice cup of tea in a posh mug! The crew weren’t particularly proactive and after clearing away and asking if I wanted anything else, they disappeared into the galley until landing. For the back half of the aircraft, they have new slimline seats in economy, but they do at least have USB charging sockets. 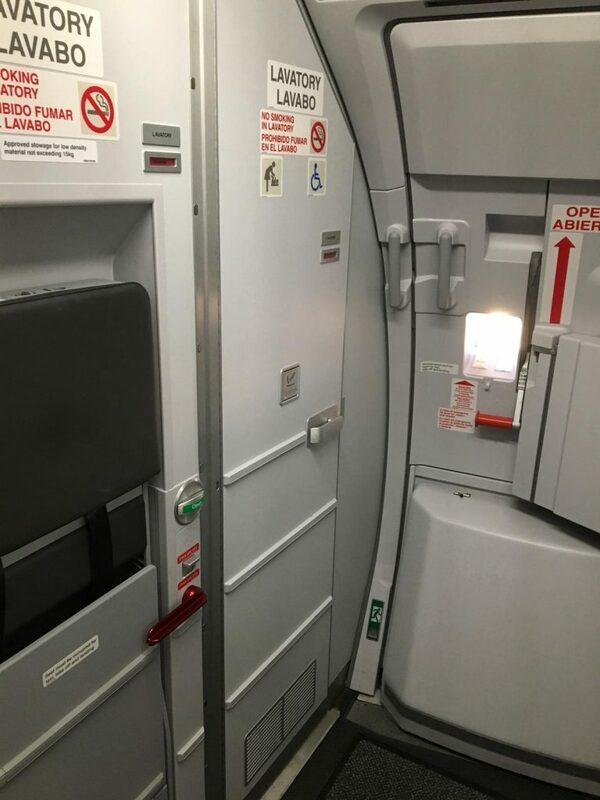 So if you are flying economy you would be best to try to sit in the more comfortable seats at the front of the cabin. The toilets at the back of the aircraft are something else too. Not only do they have crew jump seats on the outside they are really tiny! Sadly, this is not a welcome change to Club Europe. Although there are ways around it, having no centre table is annoying and devalues the Club Europe proposition further. 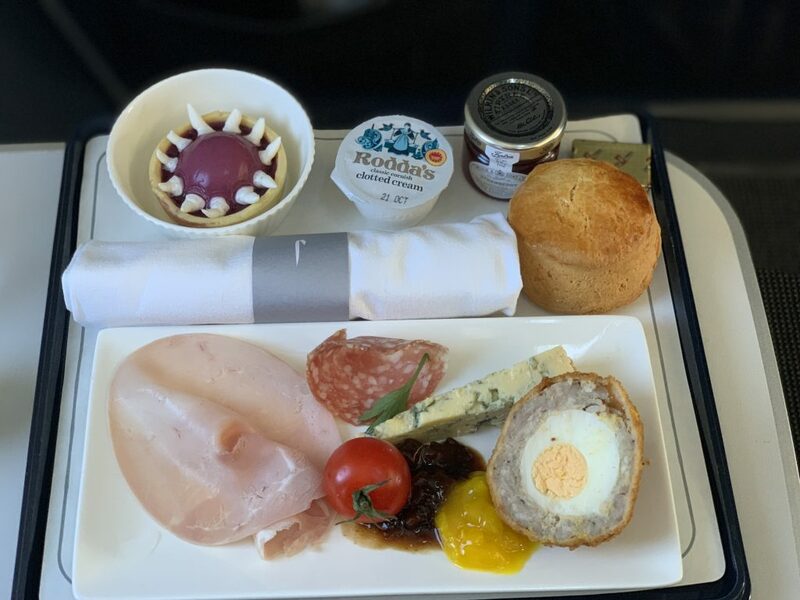 The food was pretty dull if you travel BA a lot and the crew mediocre. I do like having the centre seat free but to be honest on short flights unless you can get a good Club Europe deal or need the tier points, the exit row seats are nearly as good. 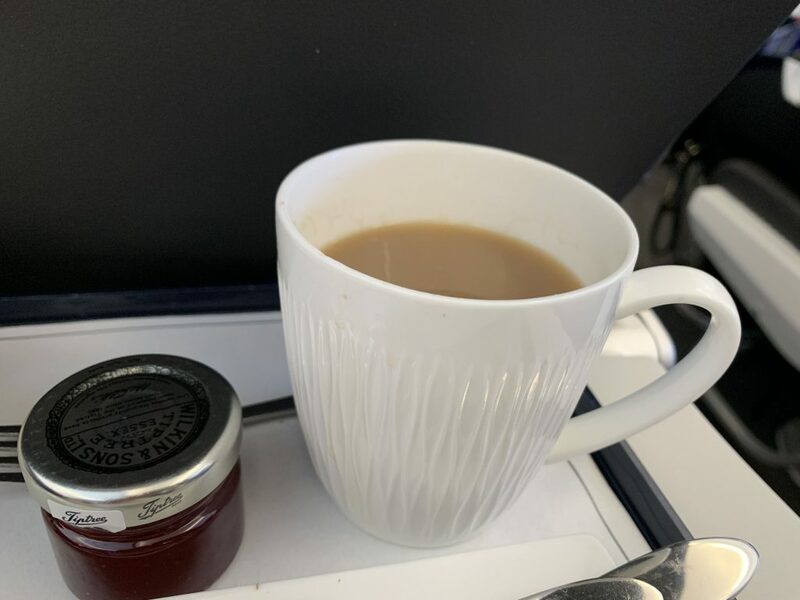 6 Comments on "British Airways A320 Neo Club Europe review – who stole my centre table?" 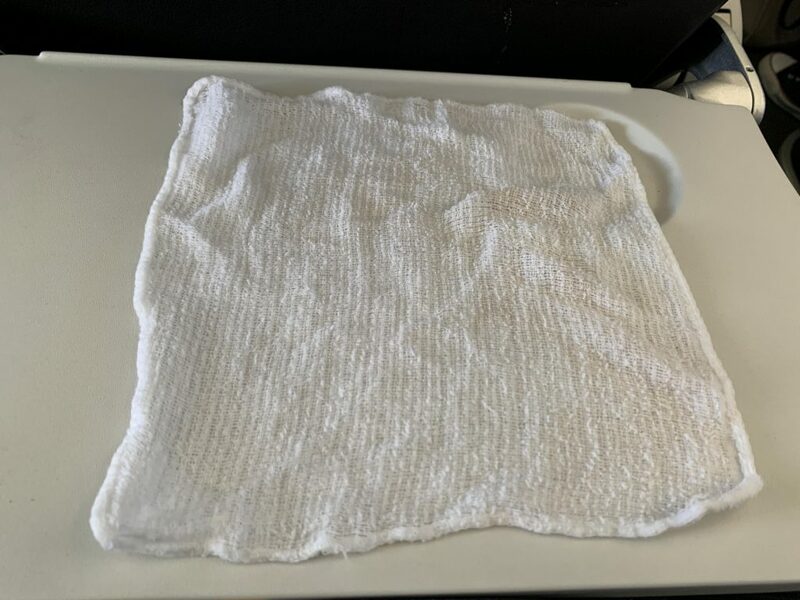 Agree – on the last couple of CE trips we have done we have ended up in a scrum for boarding and then waiting on the airbridge – and the best use for that hot towel is to clean the tray table! In fact, the only reason to book Club Europe is for extra luggage, and maybe to chill in a soulless lounge. I only ever tend to book them when they’re on offer for the tier points, or as part of some sort of tier point run. Even more worthless now you don’t have the middle tray to use (especially as I used to hide my laptop under it so I didn’t have to ferret around in my laptop bag after the flight had taken off). 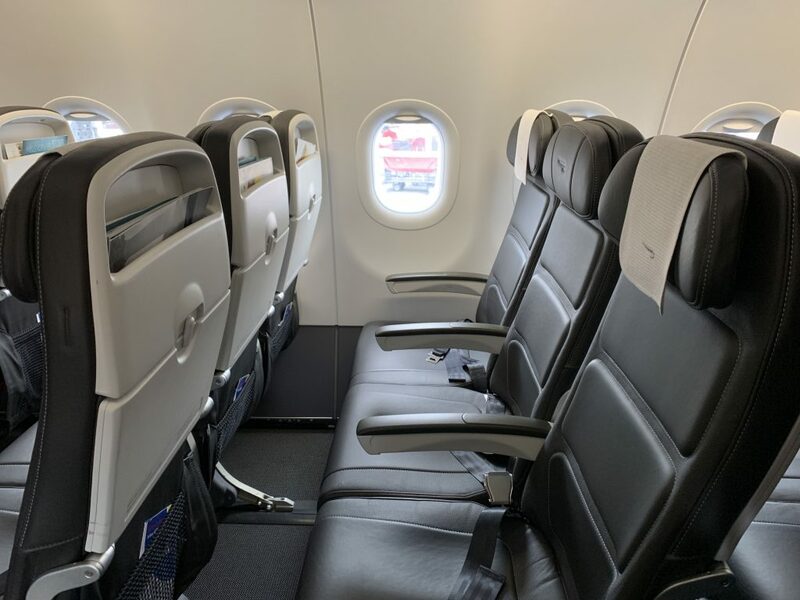 Flew Club Europe to Larnaca on A320, seated row 2,.seat same as economy no leg room I am 6’ so spent the 4.30 flight with legs pushed to the side extremely uncomfortable, especially when person in front put their seat back. Only saving grace had usual great cabin service. This aircraft replaced B767 the seat certainly not worth paying out for club on this long flight. I actually like the neo. Although we are usually in row 1. Much nicer plane than the older aircraft. There’s no doubt that the neo is a greatly improved plane compared to the ceo A320 series. That said, as ever it all depends how it is fitted out. 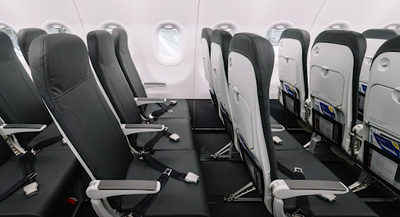 Both Lufthansa and SAS increased the seat pitch at the front as a result of feedback from their higher fare paying passengers. 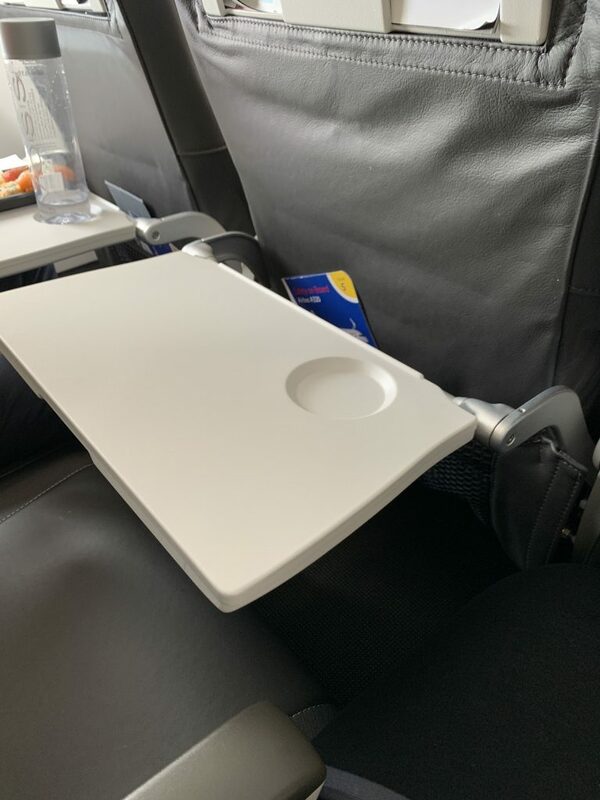 BA left it the same as economy and removed the table, something I regard as useful. These days I always look at the competition on the route and increasingly book it because very often on the routes I travel their offering is way better than BA’s and I’m thinking here A3, TK, LH, LO and often AZ. SK don’t offer business but their service at the front is fine considering it’s usually half the price of BA.